Everyone’s favorite group of hateful idiots are coming to the big screen! Rod Lurie will be directing Hate (A Love Story), a Westboro Baptist Church movie. The film will look at the Snyder v. Phelps Supreme Court case over the WBC’s habit of picketing funerals. In 2006, the WBC flew from Topeka, Kansas to Westminster, Maryland to picket the funeral of Lance Corporal Matthew Snyder. Cpl. Snyder was killed in Iraq. 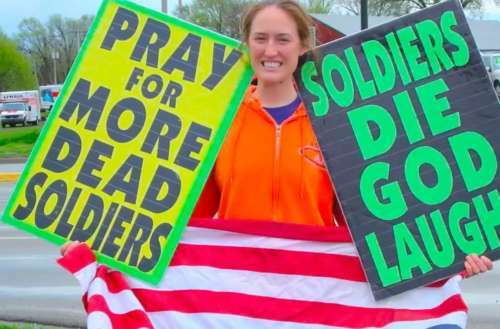 Upset over the WBC’s disgusting signs like “Thank God for dead soldiers,” Cpl. Snyder’s father, Al Snyder, sued the WBC. [The Westboro Baptist Church’s] outrageous conduct caused petitioner great injury, and the Court now compounds that injury by depriving petitioner of a judgment that acknowledges the wrong he suffered. Though Cpl. Synder was not gay — despite the presence of the WBC’s stock homophobic signs like “Semper Fi Fags” — Al Snyder is. Due to the Court’s ruling, not only did Snyder lose, but he also had to pay the WBC’s legal fees while his partner was fighting cancer. Hate (A Love Story) isn’t the only Westboro Baptist Church movie in the works. Marc Webb is working on This Above All, about Megan Phelps-Roper. Phelps-Roper is the granddaughter of WBC founder Fred Phelps. Phelps-Rogers was placed in charge of the group’s social media and eventually left the church after engaging with people on Twitter. On Sarah Silverman’s show, I Love You, America, Phelps-Roper describes marrying the man she described as her Twitter troll. 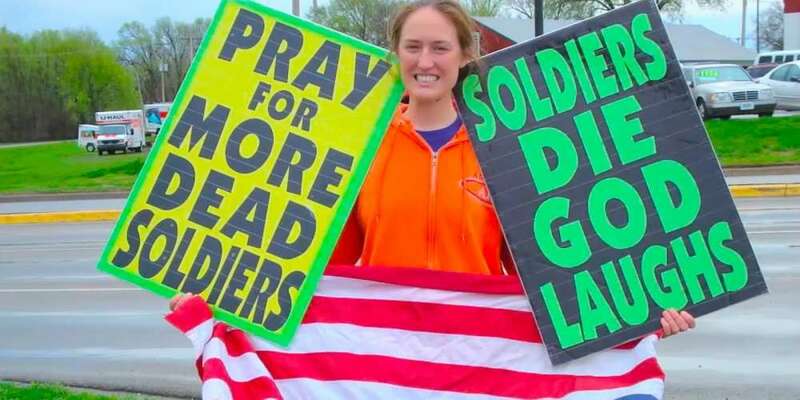 Neither Westboro Baptist Church movie has a release date yet.